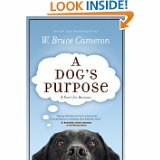 So I finished reading A Dog's Purpose and I guess I'm not going to send Breeder a nasty e-mail. However, I think a Kleenex warning would have been nice! Or maybe a sensitivity test should have been given beforehand. For example, watch the commercial below. 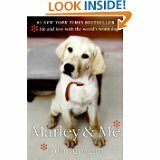 If it makes you cry, do not read this book -- and for God's sake stay away from Marley and Me! Are you bawling? If so, stick to Marmaduke!